This one has never been hit, not even by me. Original red plastic bladder still holds full pressure since I inflated it over a year ago. Wow! Was that an ebay find? 6"? Yes, eBay. New in Box. It sat there in the box for about 30 years until I finally had enough allowance money to buy it. Man that is straight out of a time capsule. 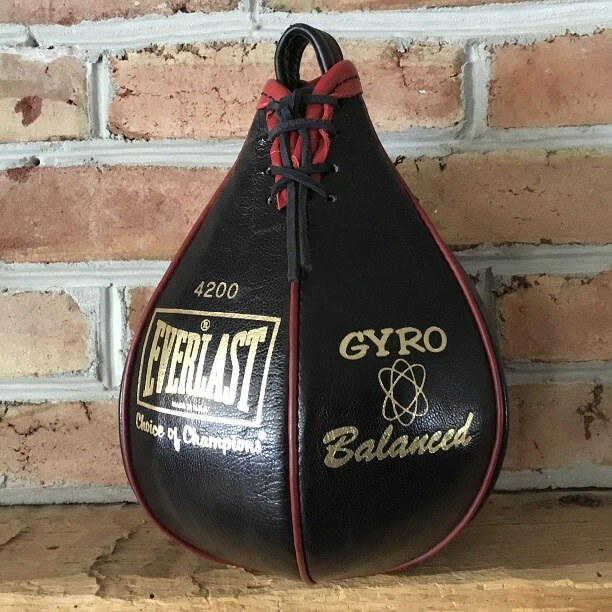 Very Nice piece of Everlast history.